Speaking during the launch event held in Meru Town, Governor Kiraitu Murungi spoke of the role of family planning in driving the county’s development ambitions. “This tyranny of numbers by politicians is a foolish slogan. People continue asking why South Korea, Singapore and other countries that we were at par with in terms of growth and development in the 1960s and 70s are ahead today. The one reason is they practice family planning. They control population growth,” he said. 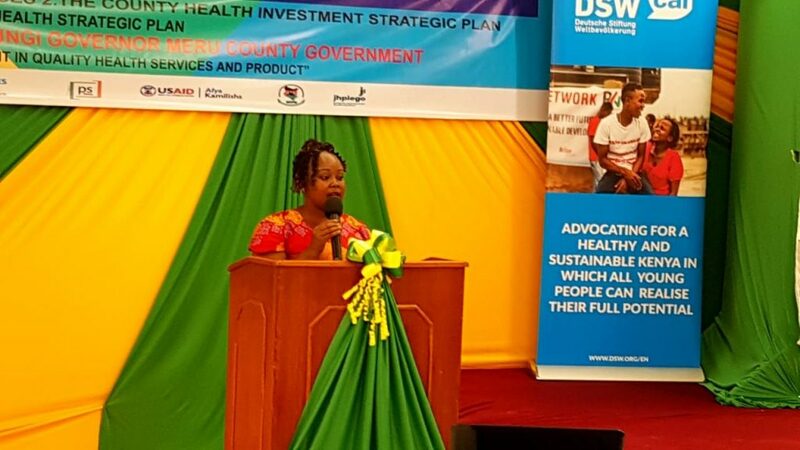 DSW’s Kenya Country Director Ms. Evelyn Samba said by launching the plan, the County Government of Meru has a policy basis for making family planning investments through the budget making process. “The Meru County family planning costed plan estimates that between 2017/2018 and 2021/2022 Meru County will need KES. 396,758,000.00 for the county’s family planning programme. The costed implementation plan is timely as it is an excellent partnership building and resource mobilisation tool,” Ms. Samba said. DSW provided technical and financial support in development process of the costed implementation plan, working in partnership with county health and planning officials as well as other non-state actors in the process. Family planning costed implementation plans are multi-year actionable roadmaps designed to help governments achieve their family planning goals—goals that when achieved will save millions of lives and improve the health and wellbeing of women, families and communities. In 2017, the government of Kenya committed at the London family planning summit of 2017 that all 47 counties will have a county family planning costed implementation plan by 2020. 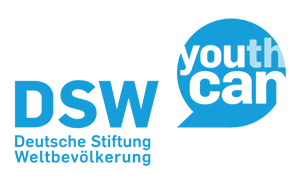 DSW is supporting 11 counties to develop their family planning costed implementation plan. DSW’s youth champion Santa Kagendo of the Meru Youth and Women Advocacy Network who participated in the development of the family planning costed implementation plan urged Governor Kiraitu Murungi to ensure that the funding commitments required to provide the youth with youth friendly services are met. So far, six DSW partner counties (Nakuru, Kilifi, Mombasa, Nandi, Bungoma and Meru) have completed developing and launched their plans. West Pokot, Laikipia, Nyandarua, Trans Nzoia, and Uasin Gishu are finalising theirs and will be launching them soon. In collaboration with county governments and other partners in Kenya, DSW is working to contribute to increased and improved funding for family planning by county governments. We work in 11 Kenyan counties: West Pokot, Kilifi, Laikipia, Meru, Mombasa, Nakuru, Nyandarua, Bungoma, Trans Nzoia, Nandi and Uasin Gishu. A family planning budget analysis conducted by DSW in 2017 shows that even though counties are investing in family planning, more investments are required.